The RYA Level Two course is our most popular course and the two days over which it is run gives plenty of time for both practical instruction and theory. Whilst at first glance the syllabus appears very similar to the level one course the extra time available makes a real difference to the depth in which subjects are covered and therefore the amount a student can learn. No prior boating experience is necessary. The course equally suits those new to boating and those who have been boating for years. Most people take Level 2 and bypass Level 1. You do not need to already have Level 1 before you take Level 2. 2 days from 9am to 5pm. 3 students to 1 Instructor and boat. We often run 2-3 boats per course the benefit being you get to use different boats and benefit from the interaction with other students. You often will find that you learn as much from watching another student execute a manoeuvre as you do from doing it yourself. We are generally happy for a child over 12 to attend a course with their parent/guardian on our boats at any time – please call to discuss. Children over 16 can attend a normal course at any time but we must have the parent/guardian’s specific permission – please call to discuss. If you want a child of under 16 to attend on their own then they must attend one of our dedicated Children’s Courses see the Children’s Courses section. 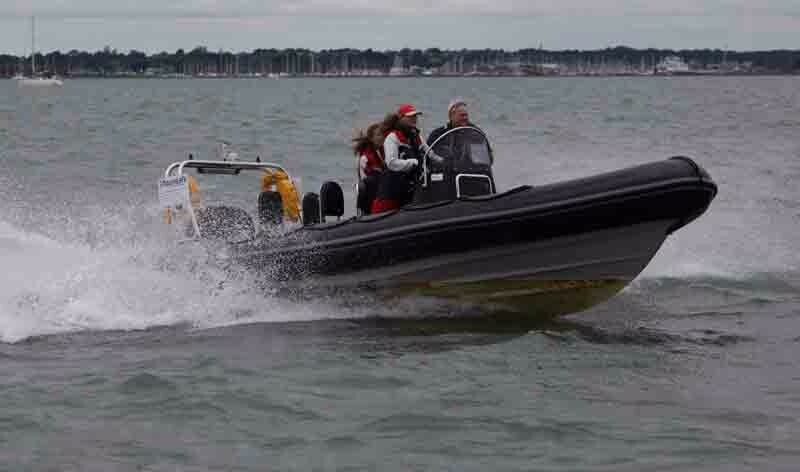 Why choose Powerboat Training UK for your Powerboat Level 2 course? What is included in the course price? ~ when you undertake your Level 2 Course on our boats then the price you pay includes Fuel (often charged as extra at the end of courses by schools), and free use of waterproofs (once again often charged as an extra) plus of course free parking. Price includes VAT too – yet another common extra. Ooops – almost forgot!. 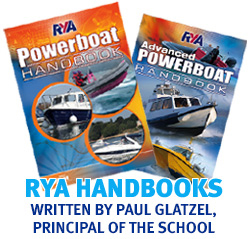 Included in the course price you also get the RYA Start Powerboating book and can purchase a copy of the new updated RYA Powerboat Handbook for the reduced price of £15. Course pricesThe higher price quoted in the ‘Key Course Details’ section above is the price per head for 1 person, for 2 persons the per head cost reduces by 2.5% and for three people by 5%. The price shown is inclusive of VAT. Special Offer No1!! Book and pay for your VHF Course at the same time as you book the Level 2 course and only pay £75 for the classroom based VHF course (including course pack). (Usual cost is £100, you also need to pay the RYA Fee which is £60). Alternatively you can choose the Online version of the VHF course for £65 – you will still need to come in for the assessment. 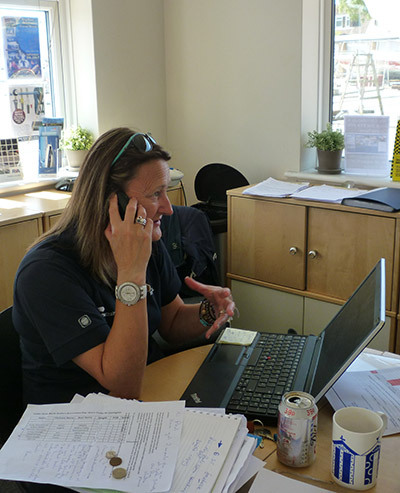 We run VHF Courses every two weeks so fitting you in will never be an issue – we run these courses in Poole and Lymington. Special Offer No2!! We also offer the opportunity to book the RYA Essential Navigation and Seamanship Course for a massively discounted £80 when booked alongside a Powerboat Level 2 course. This is a great course to develop your understanding of charts, tides, buoyage and navigation onto the next level after the course. The RYA Powerboat level 2 course is aimed both at those new to boating and those that have boated a while that want to improve their boat handling. Boat Handling including in confined spaces. The vast majority of the time on this course is spent on the water and out of the classroom. The time that you do spend in on theory will cover: The types of craft and their respective advantages/disadvantages; engines & drives; use of power tilt & trim tabs; safety checks; personal buoyancy; awareness of other water users; application of the collision regulations (IRPCS); local bylaws; towing and being towed; communication with other craft; emergency action; distress signals; fire precautions and fire fighting and rope work. On the second day of the course we spend time looking at charts, tides, buoyage and using a compass. Using these skills we then prepare a short pilotage plan and execute it to put into practice the skills developed it in the classroom. 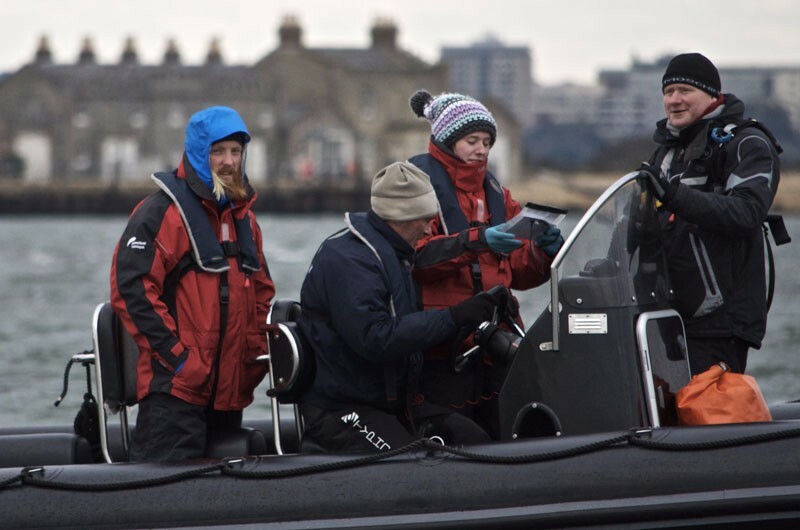 Essentially day one of the course is aimed at developing your ability to competently handle the craft in close quarter situations whilst day two develops the ability to navigate and then puts this into practice ensuring you have the ability to undertake short inshore passages. Once you have reached the standard at which we can award the Level 2 certificate should you wish you can go on to apply for your ICC from the RYA. The relevant form can be downloaded (here) which coupled with a photo and a copy of your certificate will get you your licence. If you are a member of the RYA then your ICC is free else it costs approximately £45. Coincidently joining the RYA costs about the same so we would generally advise that you join then get the ICC free. If you intend travelling abroad shortly after your course and thus require your ICC to be issued quickly we advise that you join the RYA a few weeks before your course and then call the relevant department to try to ensure a quick turnaround for your application my own only took a week. In certain situations the Level 2 certificate can be attained without attending the full course. This is known as Direct Assessment and takes half a day. (Call us if you feel that your experience is suitable and you are interested in this way of obtaining Level 2). A further consideration when attending a level two course is where you take it. Coastal based schools award certificates with a Coastal Endorsement. This means that the student has learnt in conditions where tides and currents must be considered. Generally speaking if you intend using your boat in coastal waters ensure that you undertake a course with a coastal school. The RYA Powerboat Level 2 course course appeals to a wide variety of individuals from those new to powerboating to those who may have boated for many years. Those new to boating keen to ensure that as they start boating they are doing it right. The course focuses on ensuring that you develop a really good base understanding of boat handling, navigation and seamanship. After the course you can then bolt on more practical experience to really cement the knowledge gained on the course. Those keen to boat overseas and want to achieve their International Certificate of Competence (‘ICC’) undertake the Level 2 course which then allows them to apply for the ICC using a copy of their Level 2 certificate. Those who have boated a while but never received any formal training. Level 2 ensures that you will carry on but doing it the ‘right way’ ensuring that you use the most efficient methods and with a good understanding of the ‘building blocks’ of boating. Many of the people falling into this camp tend to wonder before a course how much they will gain from the course as they have been boating so long yet after the course wonder why they never did it sooner. Indeed for some it really reinvigorates their boating leading them to seek out new places to go with a greater confidence. For those thinking about buying a boat the course serves as a great way to become a more educated buyer. Our bases in Poole and Lymington are in large marinas so you will be able to see a huge number of craft during your time with us. Being around so many boats and able to discuss the pros and cons of the various styles with the Instructors really helps when it comes to assessing the huge number of craft out there to buy. The course is relevant whether you have your own boat or don’t ever intend owning your own craft. Please note (From PTUK): The vast majority of time on the course is spent on the water boat handling. Therefore the volume of text dedicated to the topics below should not be taken to indicate the time spent on each of these areas. Knowledge of: The subject will be briefly explained. Familiarisation during the course and where to find out more after the course. Use steering and hand bearing compasses. Whatever we may think of our courses what really counts is what others think, below are a selection of comments taken directly from the Feedback Forms that we ask are filled in at the end of each course. Absolutely loved it. I genuinely can’t stress enough how great John was. My girlfriend and I have both now explained to our respective parents how lucky we were to have had him all to ourselves. An unbelievable weekend with a lifelong skill at the end of it, made even more special by the fun, informative and patient captain we had on boards. PAUL was brilliant. Very calm and he gave reassuring instructions. You didn’t really feel you were learning and then you just realised you could control your boat. I would recommend this training to anyone getting into motor boats or even up sizing. It is well worth the time and money. I thoroughly enjoyed the course and feel encouraged to learn more starting with the online navigation course. Paul was fantastic I would definitely use you again! We would just like to say thank you for the great service and care you and your team delivered to us during our 2 day Power Boat level 2 training. Thank you to Tony for explaining everything so well, keeping us safe and being so patient, he is a credit to Powerboat Training UK. When the time is right we will be back for more training in the near future as we have the power boat bug. Just a quick e-mail to thank you for a great couple of days I had completing the level 2 course over the weekend. Having going from not knowing a thing about boating to knowing a whole lot more! As I am looking to buying my first boat I found the information given go a long way to vastly increase my confidence on the water. Please also would you pass on my sincere thanks to Robin, who was my instructor for the two days, I found his guidance and patience made me feel relaxed and at ease, and his knowledge of boaty things made learning fun! Looking forward to more training when i get my first boat. Thanks Viv, the level 2 course was brilliant and as I’m sure you already know, Robin made it, he is a great guy and is a huge asset to your operation. I don’t praise people who just do their job, but Robin went the extra mile, fantastic guy. Just wanted to let you know what an excellent 2 days I’ve just enjoyed at Lymington on the Powerboat Level 2 course with Philip! The course content and pace was just perfect and Philip presented it in a very knowledgeable and enjoyable way. It has certainly given me the best possible introduction to Powerboats. I’m already looking forward to the VHF course next Saturday! Also, wanted to thank you both for your patience and understanding in providing me with an alternative course following my personal issues. We completed our Powerboat level 2 course over the weekend and all 3 of us enjoyed ourselves immensely as well as learning a great deal. Would you please pass on our sincere thanks to both Paul and Phillip who were both excellent teachers and very patient with us whilst we struggled to learnt about something that was totally new to us. Their understanding & knowledge made the whole process a lot easier! IT WAS BLOODY BRILLIANT! I can’t tell you how nice Robin is as a coach and person he made the whole thing so enjoyable and the knowledge we both walked away with has set us up perfectly. I can’t speak highly enough of Aquasafe and the whole set up. Elizabeth was dreading it but came away really happy and pleased she did it. I think Robin played a massive part in making Elizabeth feel safe and gave her confidence. Two great days of learning and I will be recommending to my friends and family. Thank you so so much and hope to see you soon when I get some time to book up the other courses. On behalf of myself and everyone who attended the course over the last couple of days, I just wanted to say thank you very much. Everyone was impressed with the instruction and the course as a whole. Just to say thank you very much for Saturday, we both enjoyed it and got a lot out of the training. I am hoping we will have some opportunities to put it into practice over the next few weeks. Thanks for your help, I hope we can come back and do some more training before too long. Hello Viv. A quick note while I remember to say thank you for organizing the course for James and I. We enjoyed it very much and Alan was very professional and affable. I feel very confident now to take a boat out and also realize how little I knew and also how little I still know! Sammy is a very pleasant young man too. All Best Wishes. I completed my PB level 2 course over the weekend under Anthony. The course was great and very well delivered, so I offer strong complements to the company and to Anthony as an individual. Hello there. I just wanted to send a quick email to thank you for the Powerboat Level 2 course in Lymington last Thursday and Friday, that myself, my son Sonny and my father, Dave completed – even despite the hilariously horrendous weather on Friday! Our instructor, Philip, was absolutely brilliant with all three of us. Very professional, patient, knowledgeable, kind and great company; he pitched the course content brilliantly well for both the 12 year old level and the 71 year old level and everything in between! Please pass on my greatest thanks to Philip and looking forward to getting lots of practice in and doing some future courses with you. The incident is mentioned in the Echo today. He kept in touch with us by phone and we didn’t panic either because we knew he was confident and able to handle the situation. All the adults he came into contact with were really impressed with the way he handled himself and the boat. So – thank you – and I wouldn’t hesitate to recommend this course to anyone, whatever their age. “I would like to thank the team very much for a most enjoyable Level 2 Course. Paul, Dom and Nye created a great atmosphere in the classroom and on the boats and did a great job of getting everyone to work as a team. Questions were encouraged and no-one was made to feel out of place for asking – Paul came to my assistance when I couldn’t quite fathom how to get the lifejacket on and even managed to keep a straight face! Dom took our group of three for the practical sessions and really made the course come alive. His enthusiasm for powerboats clearly rubbed off and I have now decided to get a RIB! Our group didn’t have a lot of experience with handling boats before and Dom was great at seeing where we were going wrong and adjusting the pace to suit our needs. Joe & Ann (and son Ben) after spending two days with Paul and their new 28ft Bayliner sportscruisier. Jon after spending a couple of days undertaking Level 2 with his 7m RIB where we dedicated specific time to practicing launch and recovery with his vehicle/trailer/boat to ensure it was handled safely and he was happy with the process. Stephen commenting on his Level 2 course. Mike commenting on his Level 2 course. Charles commenting on his Level 2 course.